Snoring Aids: Nasal Strips vs. Nasal Dilators. Snoring can cause huge problems it getting quality sleep. A gentle snoring from time-to-time is fine but if the problem gets out of hand it can affect you and your partner. 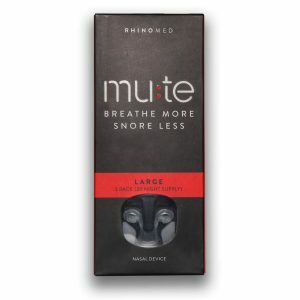 Fortunately, there are various snoring aids available if your snoring has become a major issue. Two of the common snoring aids people turn to are nasal strips and nasal dilators. Both are effective options but it is important to choose the right one for your specific needs. By taking a more in-depth look at nasal strips and nasal dilators, you can make a more informed decision regarding the best solution for you. What are Nasal Strips and How Do They Work? Nasal strips are simple to use, which has helped to increase their popularity. Some people find them more effective than others. Nasal strips are small, thin strips that are designed to fit just above the flare of the nostrils. They are made from flexible material so they can easily follow the contour of your nose. The strips have an adhesive backing, which enables you to attach them to your nose. The idea is that once you apply the strip it will remain in place all night. However, some people find that perspiration, excess oil, or movement during the night causes the strip to come away. These strips work by opening the sinus passages and improving breathing. Once the strip has been applied, it will try and straighten back to its original shape. This is what causes the sides of the nose to lift and the nasal passages to open. Nasal strips are very easy to apply and simple to use. They provide an affordable solution for those with a snoring problem. 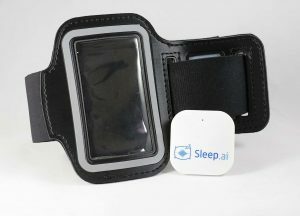 The strips offer a non-invasive snoring solution. They can help combat nasal restriction caused by allergies, colds, and general congestion. No side-effects from using these strips. Need to purchase the strips regularly for continuous use. They are ineffective for sleep apnea. The strips can come loose during the night due to perspiration, oily skin, or movement. What are Nasal Dilators and How Do They Work? The second option is a nasal dilator. They are quick and simple to use. They can help to make breathing at night easier, which in turn helps to reduce snoring. Many people who do not find the nasal strips effective turn to dilators instead. Nasal dilators are small devices that are made from metal, plastic, or rubber. They fit directly into the nostril and remain in place all night to aid your breathing. The dilators are easy to insert and do not cause any undue discomfort when you have them inserted. Once the nasal dilator is inserted into the nostrils, it keeps them open. This stops the nostrils from becoming constricted during sleep. When your nostrils collapse onto themselves, breathing through your nose becomes difficult. This can cause you to snore. Nasal dilators will help to combat this by making sure the nasal passages stay open at night. There are numerous sizes available to suit different nostril sizes. Dilators are an inexpensive solution for snorers. Inserting the dilators is quick and easy. They help to clear congestion and aid breathing. Not all types of snoring can be helped with nasal dilators. They are more invasive than nasal strips. Some people find them a little uncomfortable, particularly those with smaller nostrils. You should make sure you weigh the pros and cons of nasal dilators to decide whether they are suitable for you. If you are undecided about whether to use nasal strips or nasal dilators, there are a few considerations that may help you to decide. Ease of use: Both solutions are quick and easy to use. You may find that nasal strips provide the quickest and simplest option, as they simply need to be placed and pressed down on the nose. Nasal dilators, on the other hand, must be inserted into the nostrils. The costs involved: The cost of both nasal strips and dilators is inexpensive. However, with nasal strips, you need to purchase them continually as they will need to be replaced each night. With nasal dilators, you can re-use them and they do not require daily replacement. This means that you won’t have to buy them regularly, which helps to reduce costs over the long term. Comfort levels: Many people feel no discomfort with nasal dilators even though they must be inserted into the nostrils. However, some people may find them very noticeable when they are inserted. Nasal strips, therefore, may be considered the more comfortable option of the two. Effectiveness when being worn: Both nasal strips and dilators work by allowing more air into the nostrils, which then improves breathing. Nasal dilators fit snugly into the nostrils so they remain stable throughout the night. Nasal strips, on the other hand, may come away from the skin if it is oily or due to perspiration.